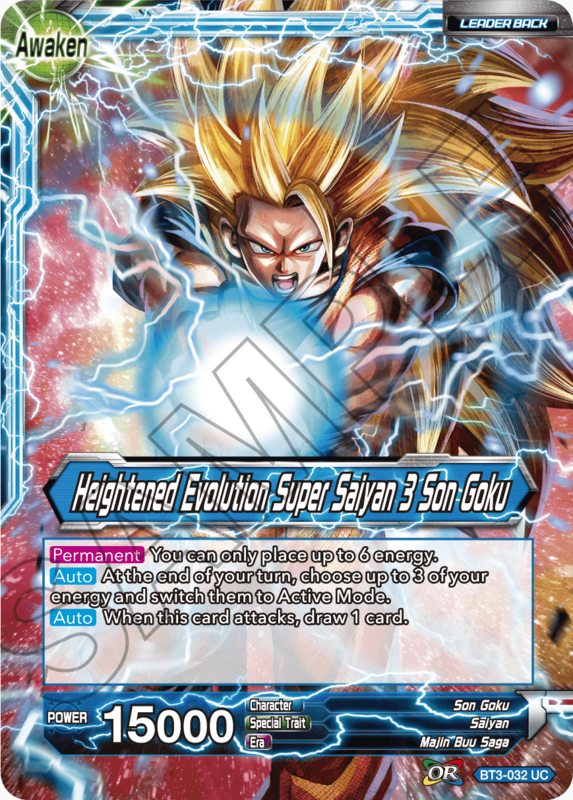 Back in the middle of September, we announced a temporary ban for BT3-032 Son Goku/ Heightened Evolution Super Saiyan 3 Son Goku. This time, we’re announcing a tweak to that ban. Looking at projections of the environment following the release of Series 5, we didn’t expect SS3 Son Goku to have the same dominance he had in the past. We were confident we would be able to deliver a healthy game environment from a competitive standpoint, which is why we decided to make the ban a temporary one. However, following the implementation of the temporary ban, we’ve heard from many players that the result has been a more diverse environment, with more varied decks appearing in tournaments. We’ve heard you say that you’re enjoying the game more, and that a sense of vitality and fun has returned. The number of positive comments resulting from this decision has exceeded our expectations, allowing us to deliver a Dragon Ball card game experience closer to our original intentions. What we fear most is a loss of motivation to build new and different decks following the end of the ban on the SS3 Son Goku leader. This is a dangerous place to be for any competitive card game. As such, we’ve made the decision to change the temporary ban on the SS3 Son Goku leader to an indefinite one. We’re committed to doing everything we can to avoid nerfing card effects or banning cards, and that goes for all cards, not just SS3. We struggled with the issue for this very reason, with discussions going back and forth internally before we reached our decision. This may have caused many of you a great deal of stress, and some of you may have lost faith in our team. For this, we must apologize once more. This announcement does not change our commitment to do everything we can to deliver a game that both Dragon Ball fans and card game fans alike can play and enjoy. Tournament ban extended from a temporary ban to an indefinite one. Thanks again, and we hope to see you at events for Series 5!